Peacekeepers on patrol in the Mopti Region. 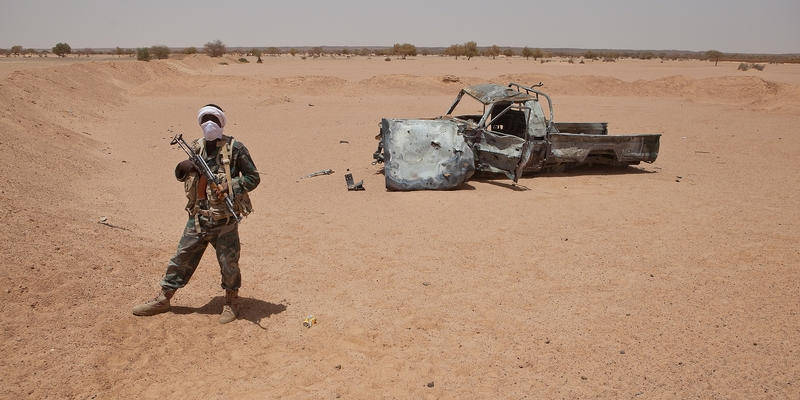 Led by the National Movement for the Liberation of Azawad (MNLA), Mali’s 2012 rebellion was boosted by the return of Tuareg rebels who had fought for Muammar Gaddafi in the Libyan civil war. They took advantage of a military coup in Bamako to seize large parts of the north and declare an independent state called Azawad, before being sidelined by militant Islamist groups they had opportunistically allied with. While the conflict shook the nation, it was in fact the fourth time Tuaregs from the north had risen up since Mali’s independence from France in 1960. A series of peace deals promised greater autonomy and economic development for the north but few of the provisions were meaningully implemented and the problems never truly solved. Today, power remains concentrated in Bamako, whose presidential palace and fancy government offices contrast starkly to the desert north, where roads give way to dust, sand dunes, and mile upon mile of ungoverned space. The failure of past agreements to bridge this divide has fuelled distrust and cast a shadow over the current agreement, which many armed groups are convinced the politicians in Bamako have no intention of keeping their word on. “The government does not want to apply the agreement,” said Mahamadou Djeri Maïga, a leading figure within the MNLA, who passed away shortly after IRIN interviewed him in September. Clashes between the CMA and the pro-government Platform have regularly broken out since the signing of the 2015 peace agreement, and tensions remain high despite a ceasefire deal signed in September 2017. El Hadj Ag Gamou, the Tuareg leader of GATIA, a pro-government militia and the dominant force within the Platform, still holds a long-standing ambition to conquer Kidal, which is controlled by the CMA and is a traditional stronghold of Tuareg rebels. He is motivated by a mixture of social revenge – GATIA members are belittled as a “lower” social status than the Ifoghas who lead the CMA – and military honour, having lost battles for Kidal on a number of occasions. In interviews with IRIN, GATIA members repeatedly accused the High Council for the Unity of Azawad (HCUA) – the dominant faction within the CMA that’s composed of former members of Islamist group Ansar Dine – of engaging in terrorist activities they say undermine the peace agreement. Founded in 2013, the HCUA is composed of former members of Ansar Dine, an Islamist group led by the veteran Tuareg rebel Iyad Ag Ghali. Despite publically disavowing extremism, the HCUA’s relationship to Ag Ghali remains “ambiguous” according to Guichaoua, from the University of Kent. A recent report by the UN’s panel of experts claimed some HCUA members, including Secretary-General Alghabass Ag Intalla, have met or maintained links with terrorist organisations. To rein in the power of armed groups, the government is trying to disarm combatants in a national disarmament, demobilisation, and reintegration (DDR) process that has also been extended to self-defence militias in the centre. But efforts have proved cumbersome, with armed groups reluctant to provide lists of fighters and inflating their numbers when they do. Decisions over which combatants will get which positions within the army are yet to be made. Meanwhile, for ordinary people displaced by the ongoing violence in central Mali such questions seem a long way away. 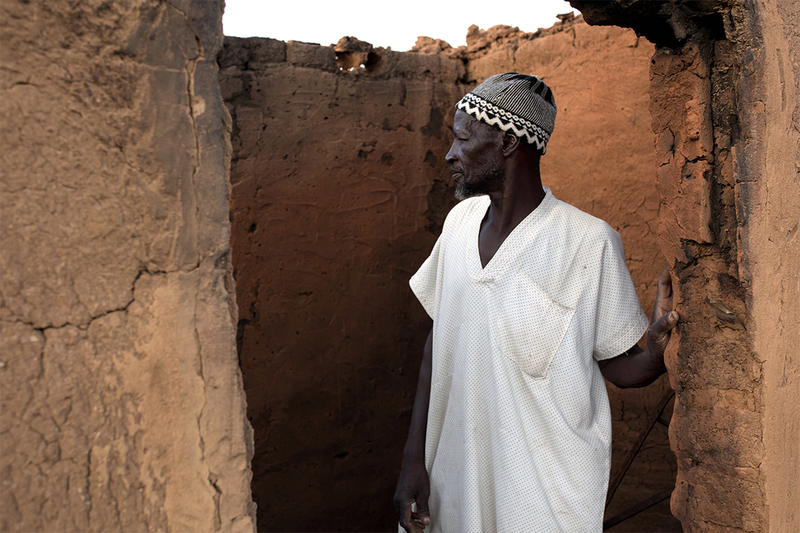 At a camp for displaced Fulani in Bankass, a small, dust-blown town in Mopti, hunger and safety are more pressing concerns.